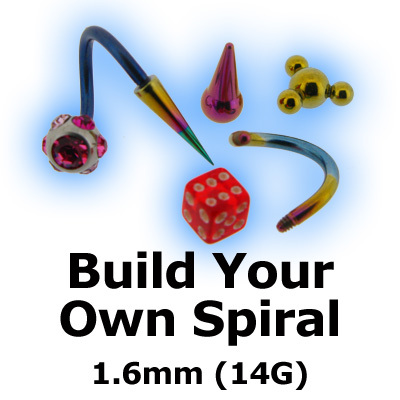 Twisters (or Spirals as they are sometimes called) are curly barbells which are available in 2 different thicknesses, 1.2mm (16 gauge) and 1.6mm (14 gauge) and different diameters. 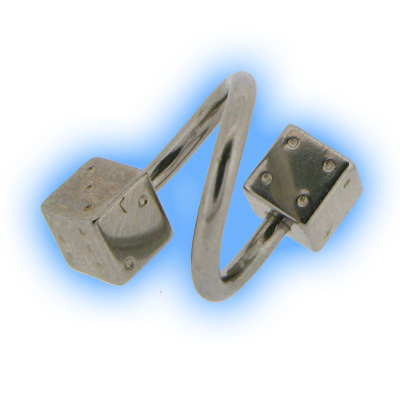 They are very versatile and unusual pieces of jewellery and they can be worn in many different piercings including lips, lobes, upper ear piercings, eyebrows and navels. 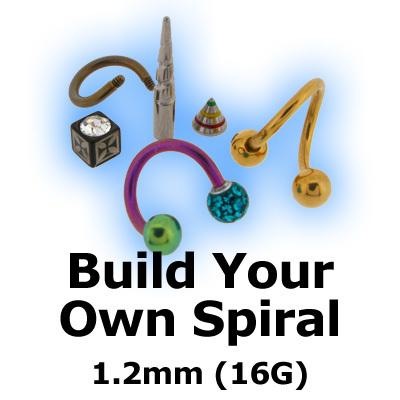 The thinner 1.2mm (16 gauge) spirals are often worn in lobe or upper ear piercings to create an unusual look and they can also be worn in eyebrow piercings. 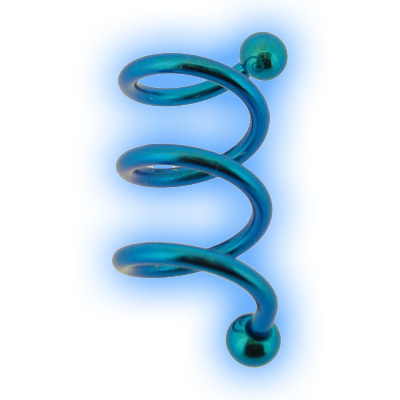 1.6mm (14 gauge) twisters are fantastic at disguising wonky belly piercings and can sometimes be worn in ear and lip piercings (depending on the thickness of the hole). 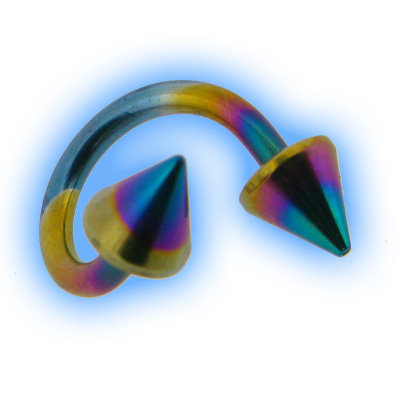 These can be worn in belly piercings but are most often worn in special ear piercings - they look amazing when worn and are available in Silver coloured Highly Polished Titanium, Bronze, Brown, Ice Blue, Blue, Pink, Peach, Yellow, Purple, 2 Tone Purple Blue, Teal, Green and even Rainbow!